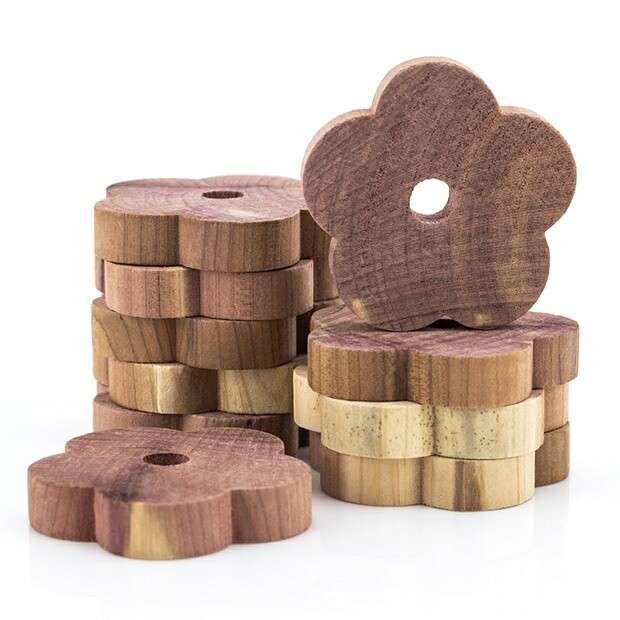 Pack of 12 moth repellent cedar wood flower shape rings. Packed in sealed, clear retail pack from Hangerworld. Naturally repels moths & insects, gives a fresh, clean scent, and absorbs moisture and odours. Can be placed in drawers, wardrobes, underbed storage bags or over the hooks of hangers etc.